On September 12, 2018, the U.S. Census Bureau released a report on poverty and earnings in America, emphasizing the major issues facing many Americans. The data showed that 39.7 million Americans lived in poverty in 2017, comprising 12.3% of all Americans, down 0.4% from 12.7% in 2016. The report also showed that the U.S. poverty rate has decreased since 2010, when it hit a high of 15.1%, and has now returned to the rate from before the Great Recession. The median household income in 2017 was $61,372, a 1.8% increase from the median income in 2016 ($60,309). The report also showed the number of Americans with disabilities between the ages of 18-64 living in poverty. In 2017, 3.8 million people or 24.9% of those with disabilities lived in poverty, a slight decrease from from 4.1 million people or 26.8% in 2016. This comes in strong contrast to the 10.1% of individuals between the ages of 18-64 without disabilities living in poverty in 2017. 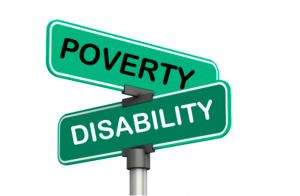 This emphasizes the major barriers to employment for many individuals with disabilities face, as well as some people who are not able to work due to the nature of their disabilities. Poverty rates also vary by age. In 2017, 17.5% of children lived below the poverty line. The rate for those 65 and over has also fluctuated over time. Amongst individuals 65 and older, poverty fell from the 1960s to the 1990s, primarily because of the expansion of Social Security benefits during this time period. Between 2016 and 2017, the poverty rate for those 65 and older, as well as for those 17 and younger, did not statistically change. 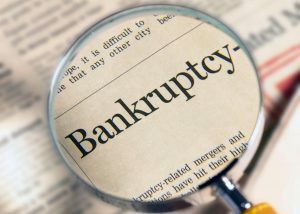 Older Americans, ages 65 and older, are increasingly filing for bankruptcy, with the rate more than tripling since 1991, according to a study from the Consumer Bankruptcy Project titled “Graying of U.S. Bankruptcy: Fallout from Life in a Risk Society.” Between 2013 and 2016, 12.2% of individuals ages 65-74 filed for bankruptcy annually versus 2.1% in 1991. This trend cannot be explained adequately by the aging US population—which rose only 2.3% from 1991-2015. Instead, the study’s authors attributed this phenomenon to several problems. First, reductions in Social Security and Medicare occurred with Congress raising the age for full retirement benefits. Second, retirement savings shifted from typical pension plans to 401(k) plans. These plans give workers greater discretion on how much money to save and invest. Third, other contributing factors include rising medical expenses which can quickly wither away at an individual’s savings. Finally, there are other uncontrollable factors that lead to this situation. 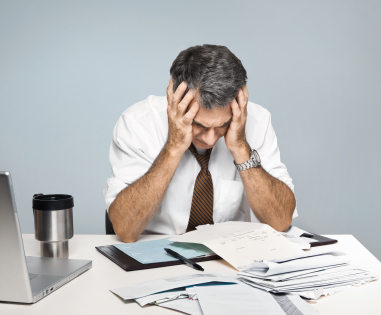 For example, divorces, a death of a dependent spouse, and loans to one’s children or grandchildren are all situations which can lead to growing debt. For seniors filing for bankruptcy, their chances of recovering from this ordeal are unlikely, as “they simply do not have enough years to get back on their feet.” For these individuals, their median debt is $101,600, which is three times the filer’s average income. The authors of the study predict that as America’s population grows, this upward trend among older Americans will only continue to climb. 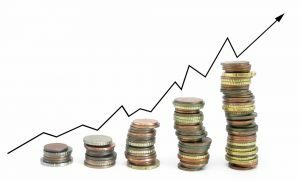 ARE WAGES INCREASING FOR AMERICANS? Many Americans are currently satisfied with the growing economy. Unemployment is down. Currently only 3.9% of Americans list themselves as looking for work today; down from 4.9% in October 2016. Typically, in periods of low unemployment, wages are expected to increase. According to the Bureau of Labor Statistics, today’s real average hourly wage is $10.76 per hour. In October of 2016, the average real hourly wage was $10.72 per hour. Average hourly wages have increased by only four cents an hour since 2016. Still, one must consider the inflation rate. The current US core rate of inflation is 2.4%. From January to July of 2018, inflation has risen .8 percent. Inflation has grown over the last few years, making the slightly increasing nominal wages less impactful. Over the past year, nominal wages— the amount of money people receive in their paychecks without taking inflation into account–have increased 2.7%. As the price of goods and services have risen, average wages have not kept pace. These factors together lead to a stagnation in real wages. The Economic Policy Institute argues that data shows that workers and the US economy as a whole would benefit significantly from nominal growth rates (the rate not adjusted for inflation) above 3.5% over a long period of time. Adjusted for inflation, average weekly earnings have fallen 0.1% in the last 12 months. While many feel the economy is on the upswing, some may be confused as to why their paycheck is not providing a better standard of living. The devil is in the details. While unemployment is down, and wages have slightly increased in response, the inflation rate is rapidly rising. Because inflation is rising faster than wages are growing, many wage-earning Americans are not getting the full benefit of a growing economy. For people with disabilities, inflation strongly impacts those on a fixed income. Some individuals with disabilities have a higher cost of working, such as special transportation needs. This further reduces the value of their wage-earning dollar. Tagged: "nominal wages" and "stagnation"
Much has been made recently in the news of a spike in the number of Social Security Disability claims. Last month, Social Security reported that the number of individuals receiving disability payments totaled 8,733,461. Many news organizations cried that this is higher than the entire population of New York City. However, this number also reflects the aging Baby Boomer population who are approaching their fifties, an age when chronic medical conditions do remove workers from the workforce. Still, economists point to a correlation between an applicant’s unemployment payments running out and the initial application for disability. The Wall Street Journal reported this in December 2011. In previous posts and as reported by Social Security, there is a rise in applicants when there is a downturn in the economy. For many reasons, there are fewer jobs available and those with medical disabilities are at a greater disadvantage and less able to find work that can accommodate disabilities. Tagged: "Economic Trends and Social Security"